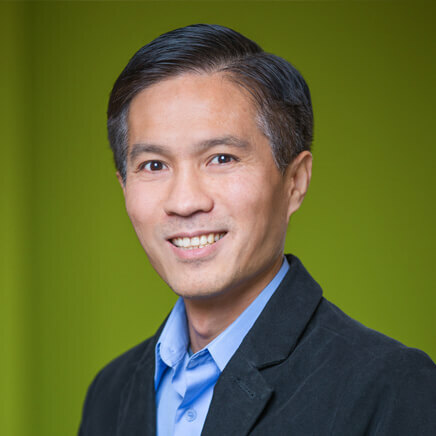 As HFO's full-time in-house graphic designer, Tien Nguyen puts his talent to work for HFO clients every day. He previously spent eight years as the lead designer for Ankrom Moisan Architects. In his work, Tien supported architects and interior designers with presentations, photo retouching, renderings and collateral materials from design concept through construction. His job required preparing marketing materials ranging from print proposals and brochures to architectural models and interactive web design. Tien's love of architecture and his ability to bring out a building's best qualities are evident in all his work. Tien holds a B.A. in Graphic Design from Portland State University, and Associates of Applied Science Degrees in Web Site Development and Graphic Design from Portland Community College. Tien knows martial arts…so stay on his good side.